Here are some snazzy birthday facts about 29th of July 1904 that no one tells you about. Don’t wait a minute longer and jump in using the content links below. Average read time of 9 minutes. Enjoy! What day was my birthday Jul 29, 1904? July 29, 1904 was a Friday and it was the 211st day of the year 1904. It was the 31st Friday of that year. The next time you can reuse your old 1904 calendar will be in 2044. Both calendars will be exactly the same! This is assuming you are not interested in the dates for Easter and other irregular holidays that are based on a lunisolar calendar. What day is July 29 this year? There are 101 days left before your next birthday. You will be 115 years old when that day comes. There have been 41,902 days from the day you were born up to today. If you’ve been sleeping 8 hours daily since birth, then you have slept a total of 13,967 days or 38.24 years. You spent 33% of your life sleeping. Since night and day always follow each other, there were precisely 1,418 full moons after you were born up to this day. How many of them did you see? The next full moon that you can see will be on April 19 at 11:14:00 GMT – Friday. Fun stat: Your first one billion seconds (1,000,000,000) happened sometime on April 6, 1936. If a dog named Sassie - a Field Spaniel breed, was born on the same date as you then it will be 476 dog years old today. A dog’s first human year is equal to 15 dog years. Dogs age differently depending on breed and size. When you reach the age of 6 Sassie will be 40 dog years old. From that point forward a small-sized dog like Sassie will age 4 dog years for every human year. View the complete list of July 29 celebrity birthdays. Who are the famous July 29 birthdays? Here’s a short list of famous people in history who were born on Jul 29. View the complete list of July 29 famous birthdays. 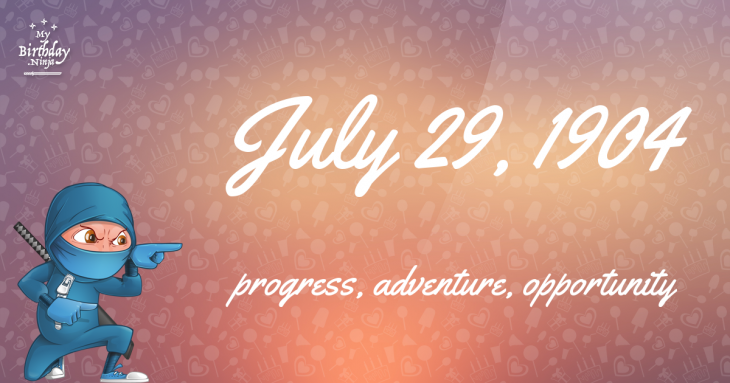 What happened on my birthday – Jul 29th? Sack of Thessalonica: Saracen raiders under Leo of Tripoli sack Thessaloniki, the Byzantine Empire’s second-largest city, after a short siege, and plunder it for a week. Byzantine–Bulgarian wars: Battle of Kleidion: Byzantine emperor Basil II inflicts a decisive defeat on the Bulgarian army, and his subsequent treatment of 15,000 prisoners reportedly causes Tsar Samuil of Bulgaria to die of a heart attack less than three months later, on October 6. The widowed Mary, Queen of Scots, marries Henry Stuart, Lord Darnley, Duke of Albany, at Holyrood Palace in Edinburgh, Scotland. Annibale de Gasparis discovers asteroid 15 Eunomia. Adolf Hitler becomes leader of the National Socialist German Workers Party. Tōngzhōu Incident: In Tōngzhōu, China, the East Hopei Army attacks Japanese troops and civilians. The BBC Light Programme radio station is launched for mainstream light entertainment and music. U.S. President Dwight D. Eisenhower signs into law the National Aeronautics and Space Act, which creates the National Aeronautics and Space Administration (NASA). Vietnam War: The first 4,000 101st Airborne Division paratroopers arrive in Vietnam, landing at Cam Ranh Bay. Astronomers announce their discovery of the dwarf planet Eris. View the complete list of July 29 historical events. What does my birthday July 29, 1904 mean? Your birthday numbers 7, 29, and 1904 reveal that your Life Path number is 5. It represents progress, adventure and opportunity. You possess the curiosity of a cat and long to experience all of life. The following celebrities also have the same life path number: Tiffany Haddish, Ruby Murray, Schoolly D, Tara Fitzgerald, Jang Jin-young, Jay-Z, Kim Seung-jun, Tsui Hark, Kerry Ingram, Lindsay McCaul. What is the birthday horoscope for Jul 29, 1904? The Western zodiac or sun sign of a person born on July 29 is Leo ♌ (The Lion) – a fixed sign with Fire as Western element. The ruling planet is Sun – the center of our universe. According to the ancient art of Chinese astrology (or Eastern zodiac), Dragon is the mythical animal and Wood is the Eastern element of a person born on July 29, 1904. What is the birthstone for July 29? Fun fact: The birth flower for 29th July 1904 is Larkspur for haughtiness. What is the Love Match for Jul 29, 1904? When it comes to love and relationship, you are most compatible with a person born on September 6, 1905. You have a Love Match compatibility score of +109. Imagine being in love with your soul mate. 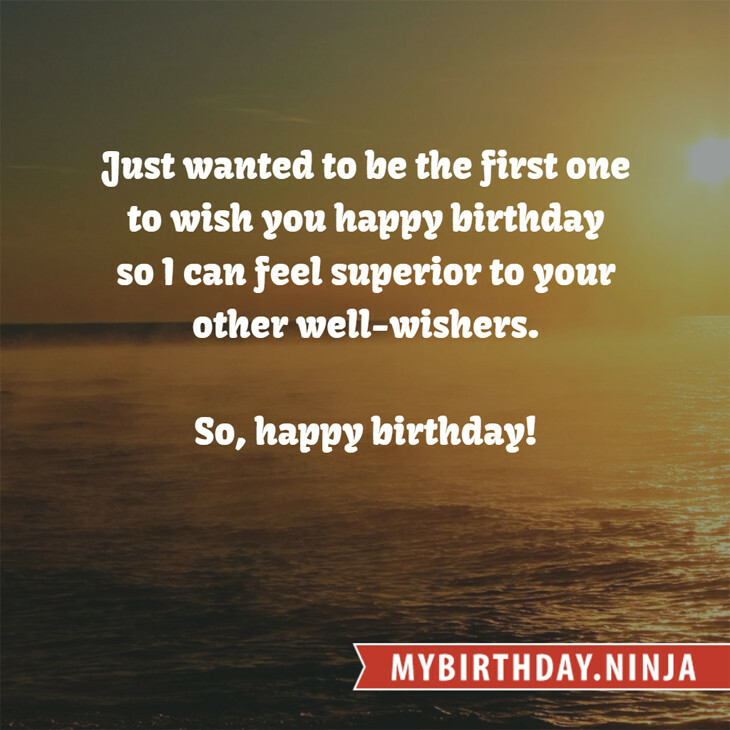 On the negative side, you are most incompatible with a person born on February 2, 1933. Your incompatibility score is -115. You’ll be like a cat and a dog on a love-hate relationship. Arf-arf, I want to bite you. Meow-meow, stay away from me! What is a good birthday trivia for July 29? I do not know how you feel about this, but you were a female ♀ in your last earthly incarnation. You were born somewhere around the territory of Southern Japan approximately on 1775. Your profession was builder of roads, bridges, docks. What is the popular baby name on 29 Jul 1904? What’s your bizarre Florida Man story? The #FloridaManChallenge is breaking the Internet and social media. Some crazy men, women, or creatures from the Sunshine State are making headlines every day of the year including your birthday. Try this fun exercise. Pick your search engine of choice and type in “florida man July 29” and see what kind of wild news headline you will get. This viral craze started in 2013 and gets resurrected now and then. The latest was from Tumblr and found its way to Twitter. As they say, the rest is history. Here’s a quick list of all the fun birthday facts about July 29, 1904. Celebrities, famous birthdays, historical events, and past life were excluded. Try another birth date of someone you know or try the birthday of these celebrities: March 25, 1976 – Erika Heynatz, Papua New Guinean-Australian model, actress, and singer; September 25, 1973 – Bridget Marquardt, American model and actress; February 22, 1986 – Choi Daniel, South Korean actor and singer.